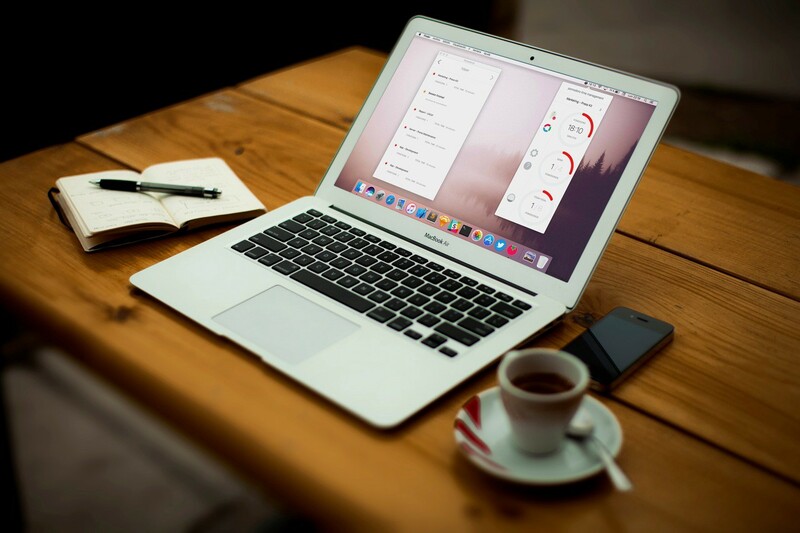 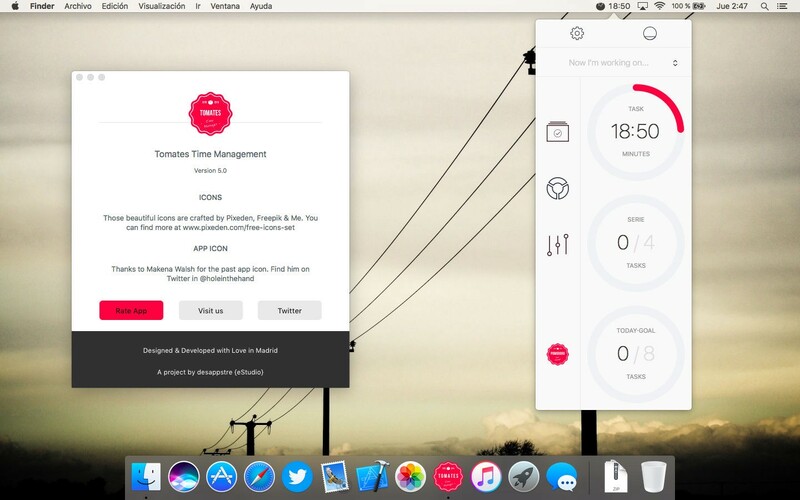 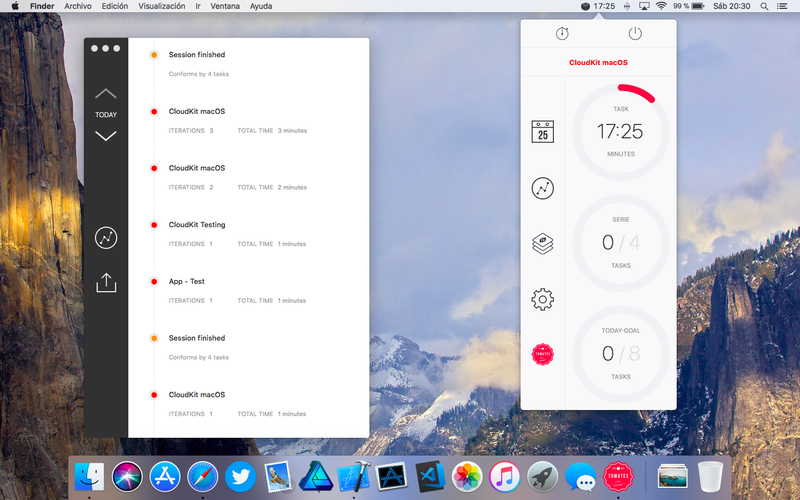 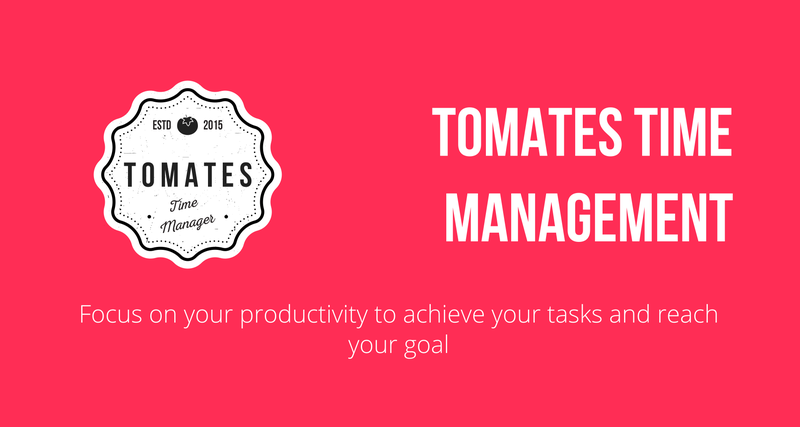 The Tomate Time Management for macOS helps you to improve your productivity using one of the most effective management method in personal or pair working environments. 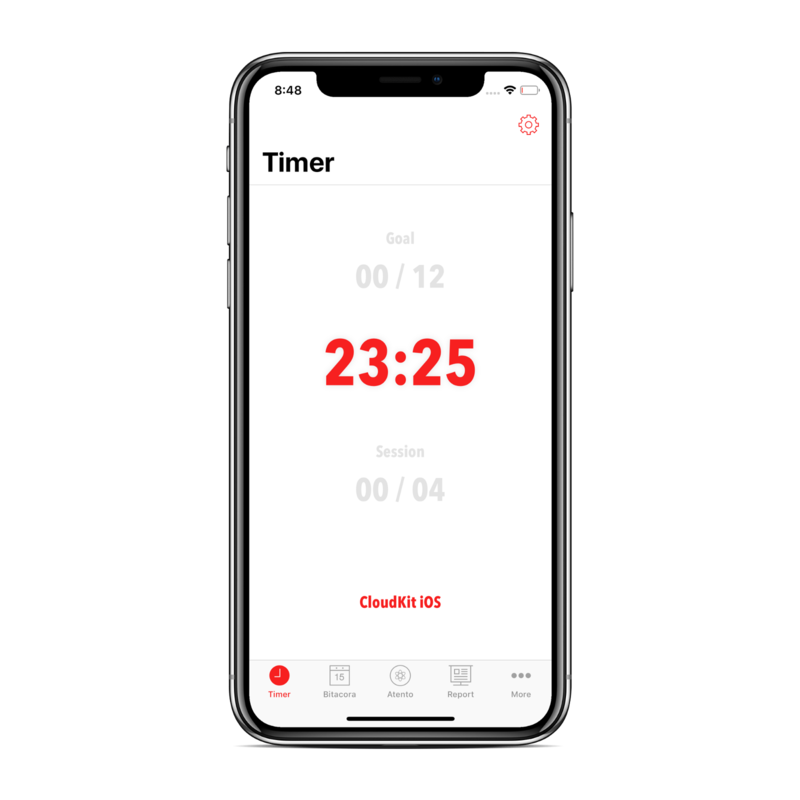 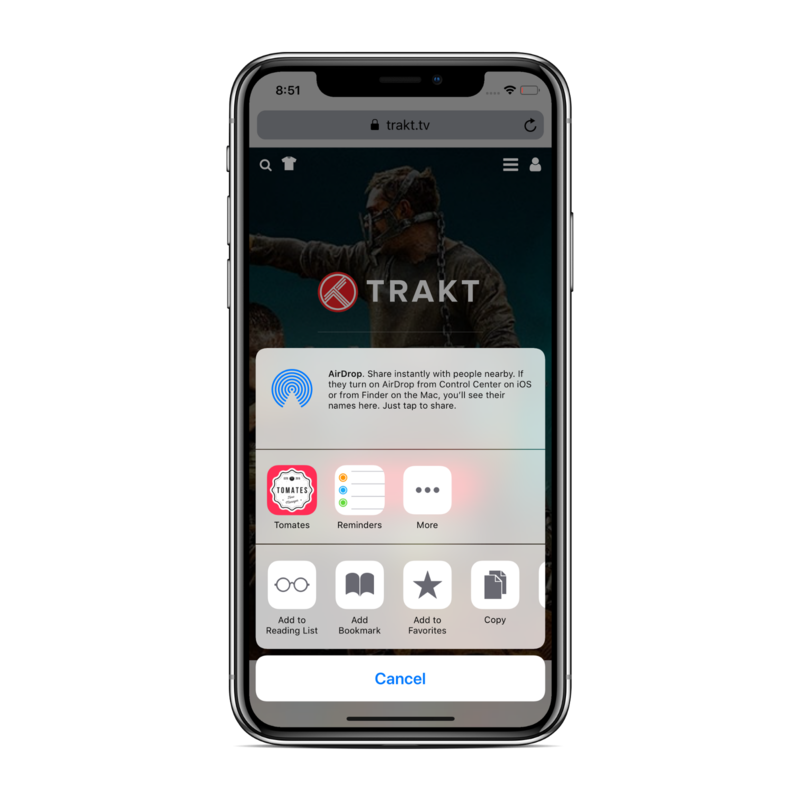 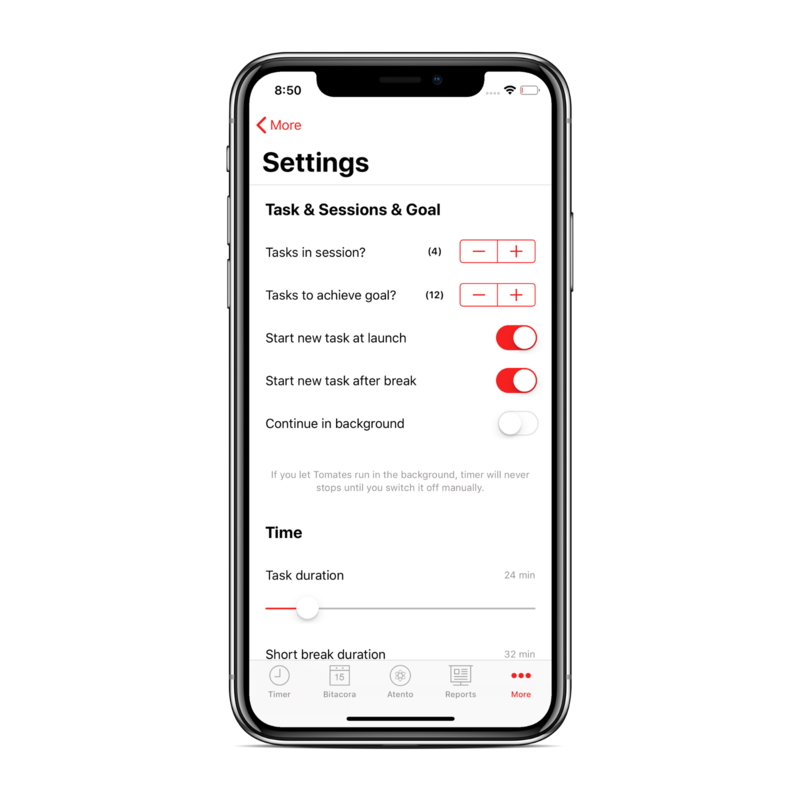 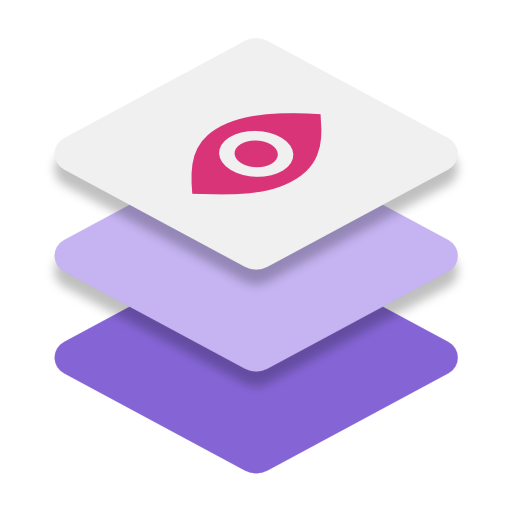 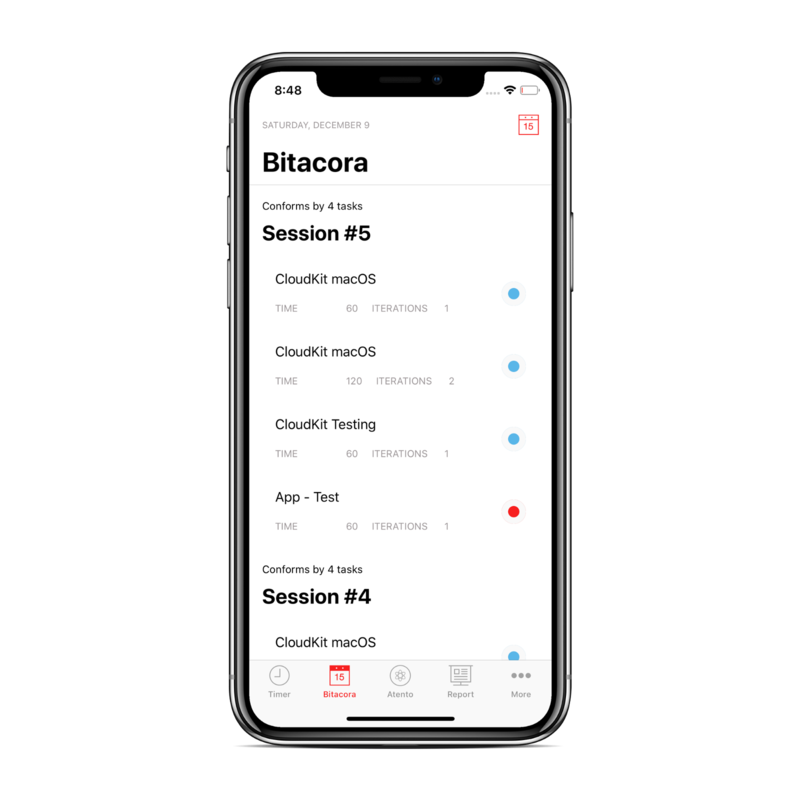 The app is highly configurable in aspects like time for breaks or tasks, notifications, pomodoro series… all of it in a beautiful and detailed interface. 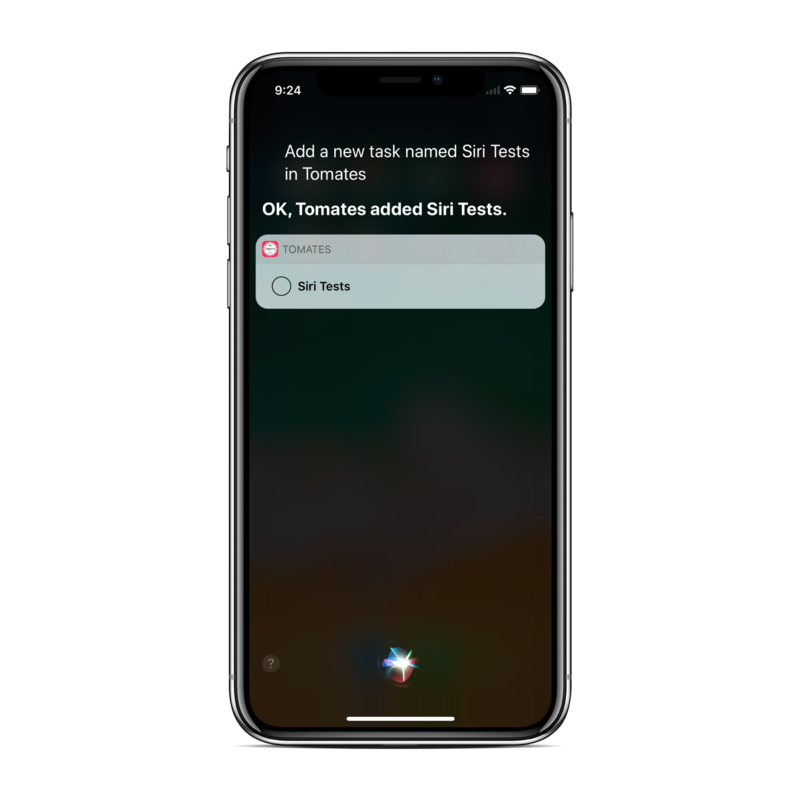 This new version is more integrated than ever with Siri. 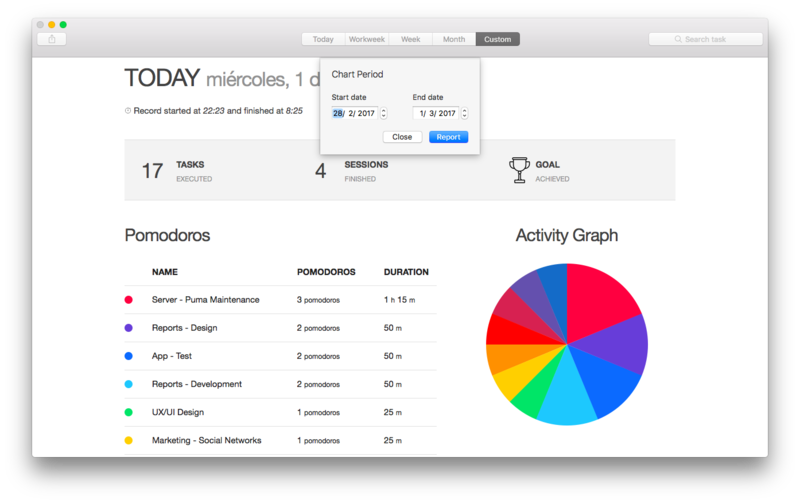 Now you can toggle timer, set tasks or even view reports with your voice. 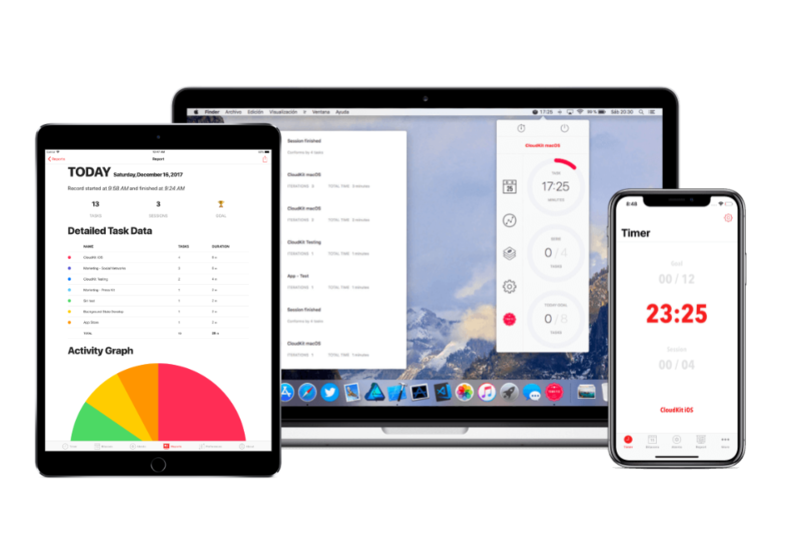 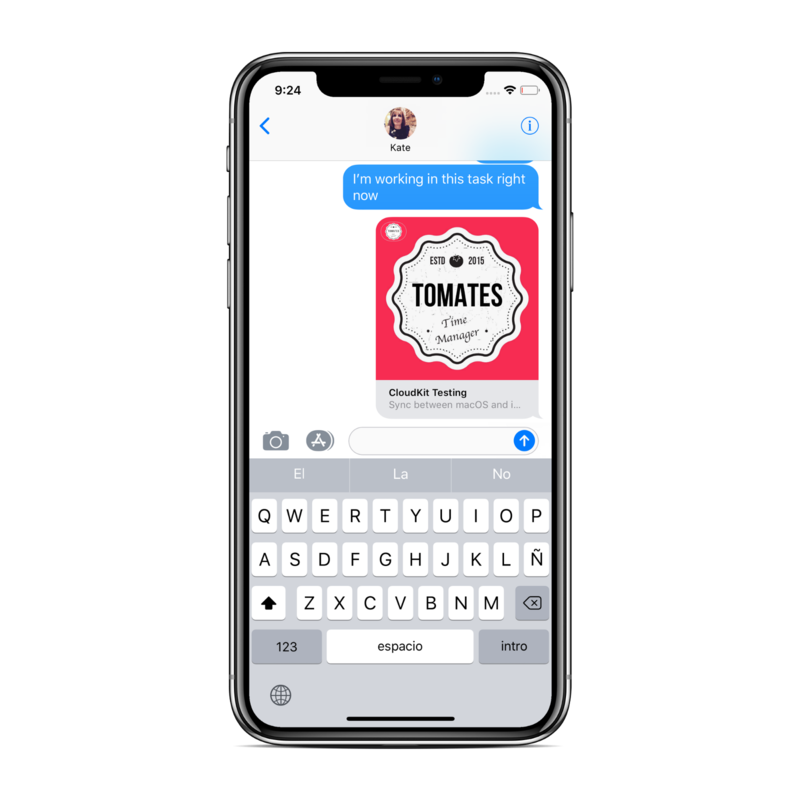 During last year we have been designing and developing the Tomates iOS version including the last features availables in iOS operating system to release a state of the art productivity tool for mobile environments. 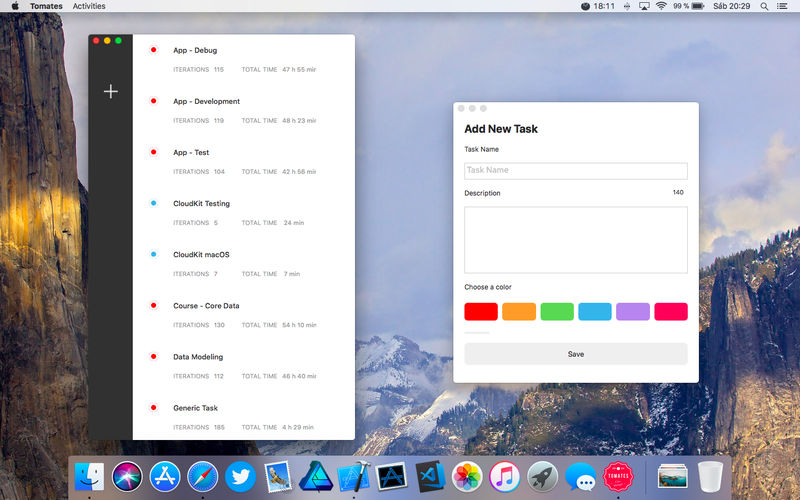 This new release included iCloud sync between your Mac and iPhone and iPad devices plus to Siri integration in order to make easier create task or check your progress. 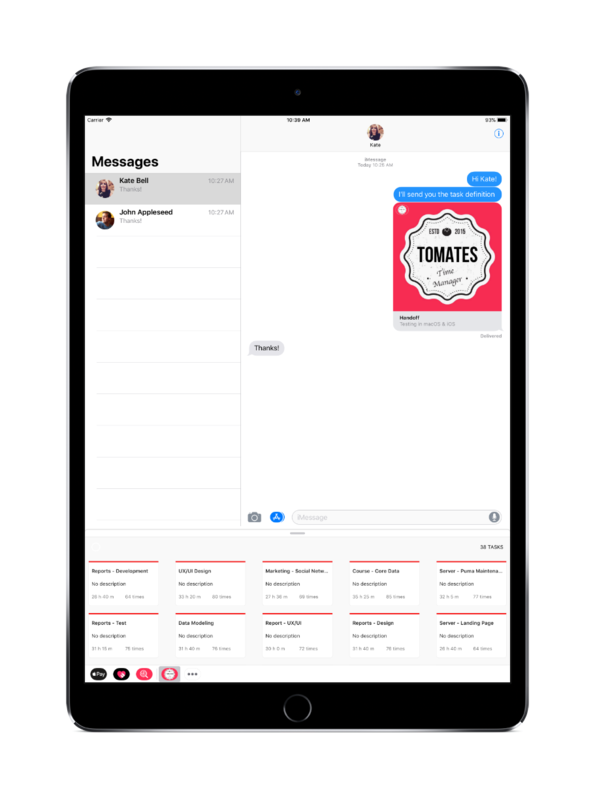 Other features availables are Messages and Share Extensions. 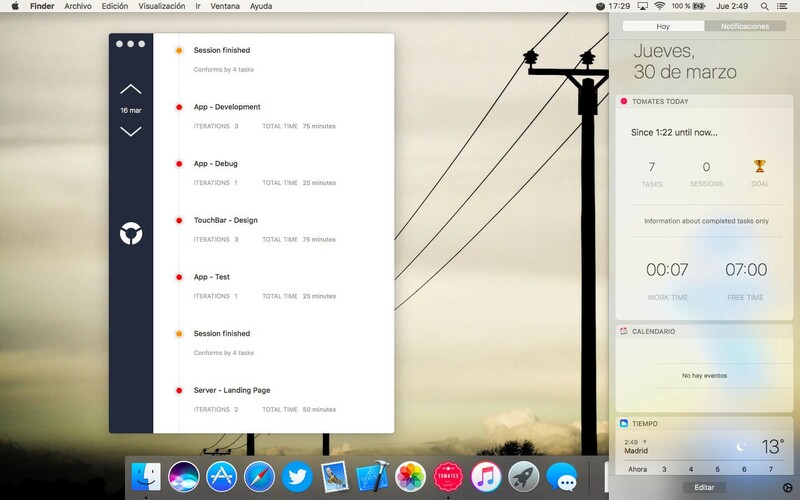 With Atento you can take a look at every moment to all apps and websites that has been opened in your computer. 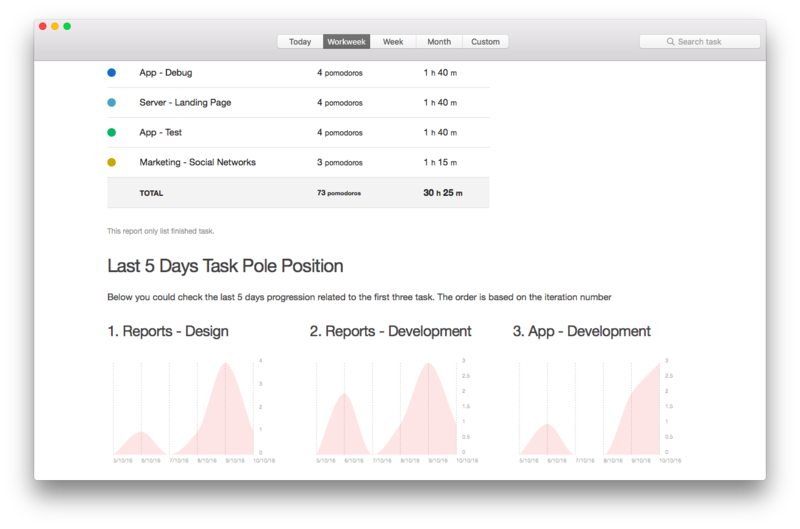 Realize how much time an app or website has been in foreground and when. 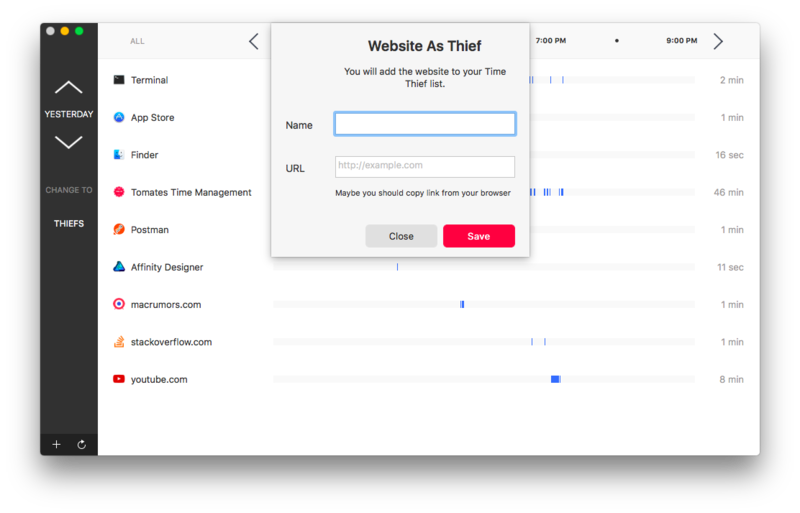 Identify new apps or websites as Time Thieves and keep an eye over this apps and websites especially. 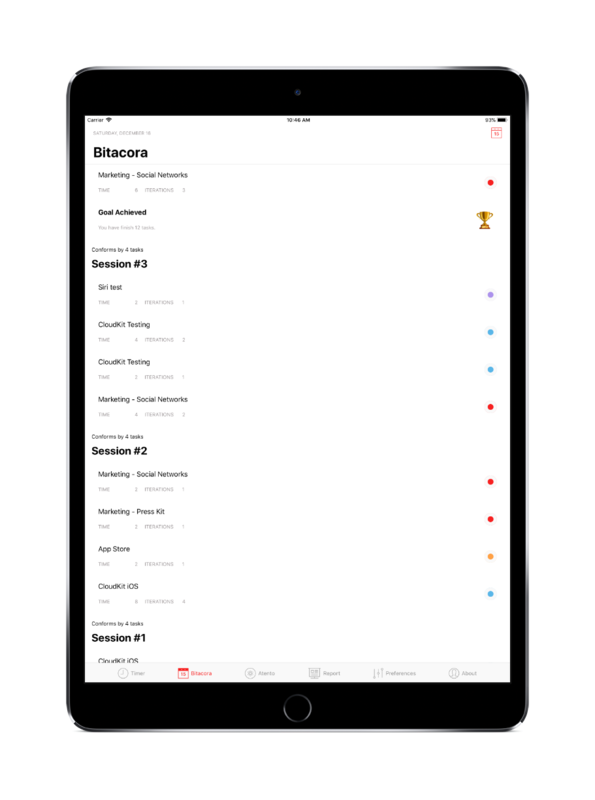 And since version 7 you could check all this information on your iOS devices too. 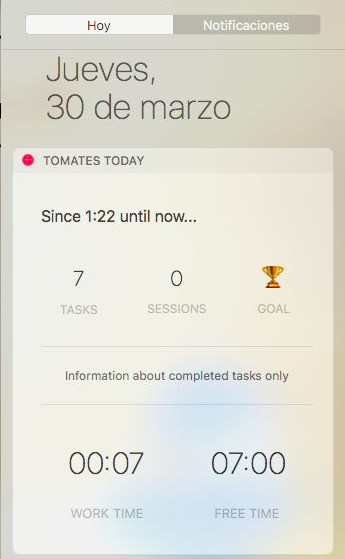 Now you can take a look at your daily progress from your Mac and iPhone Notification Center. 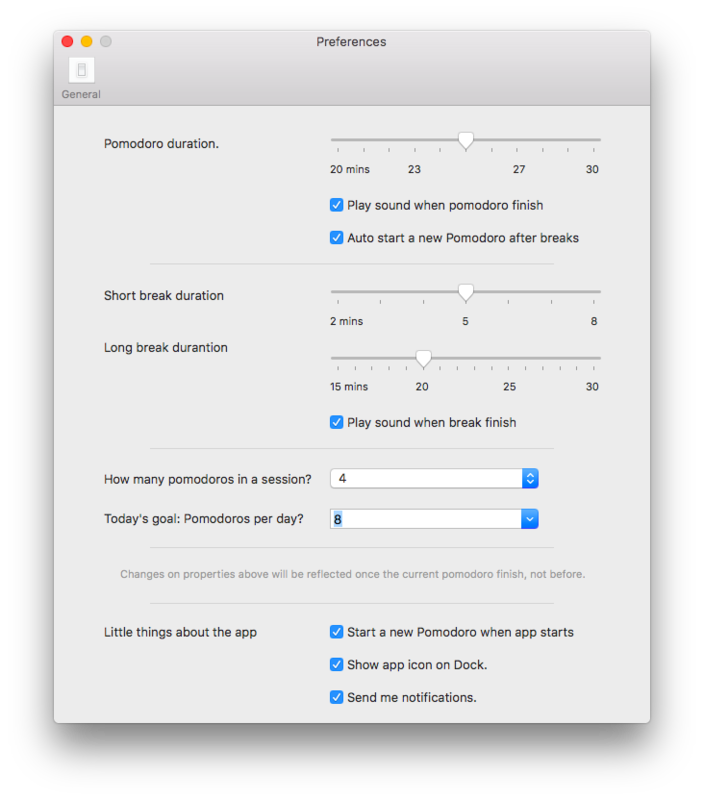 Simply add the Pomodoro Today Extension. 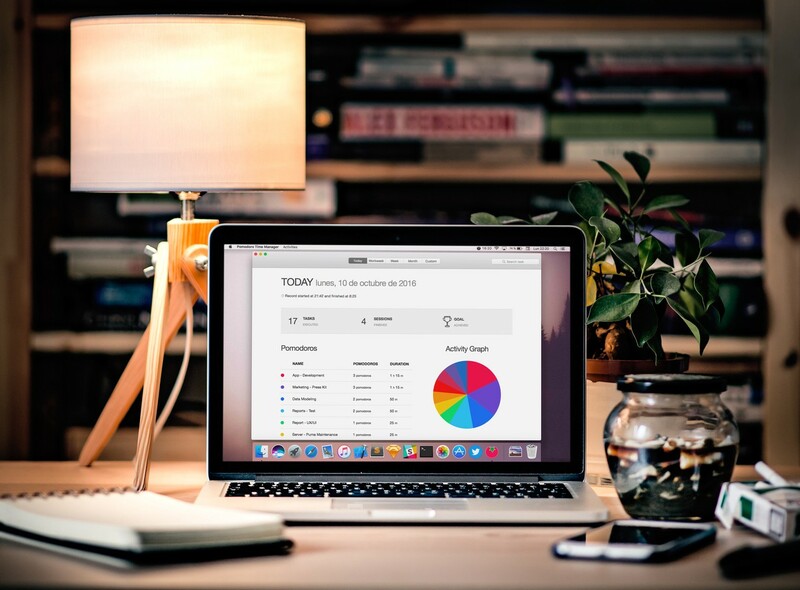 The last minor version adds support to the new Touch Bar technology available on new MacBook Pro. 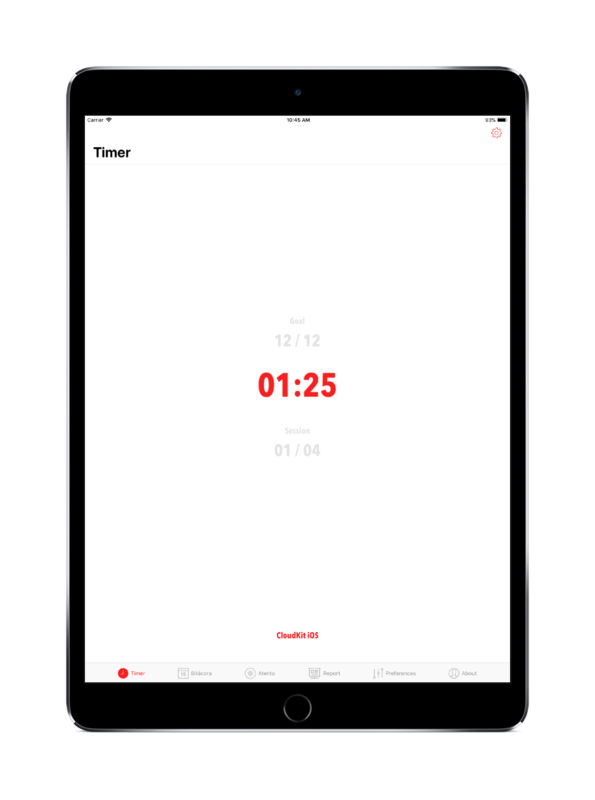 Now you can manage Timer from the Touch Bar, and reset timer, session and goal counters as well. Another Touch Bar functions availables are located on Reports and Activity History windows. 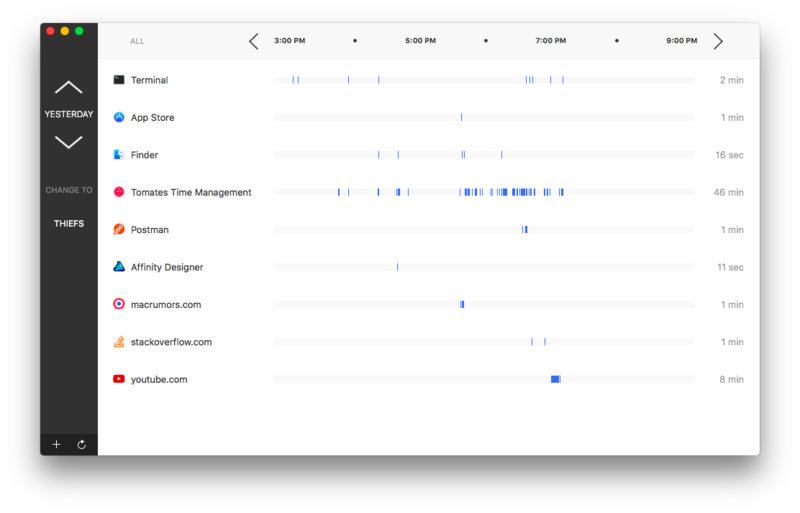 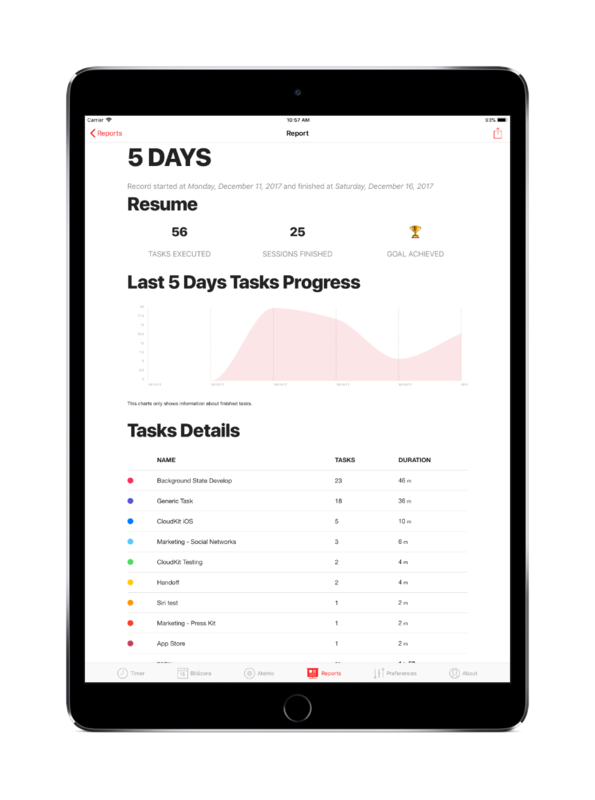 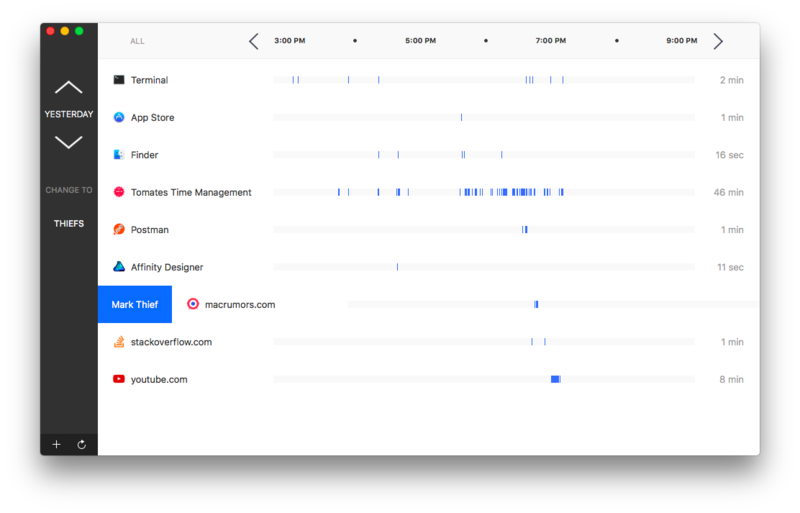 The app now has 2 different kind of reports, task based and time based, and the time based contains four predefined periods (today, workweek, week and month) and a custom period report. 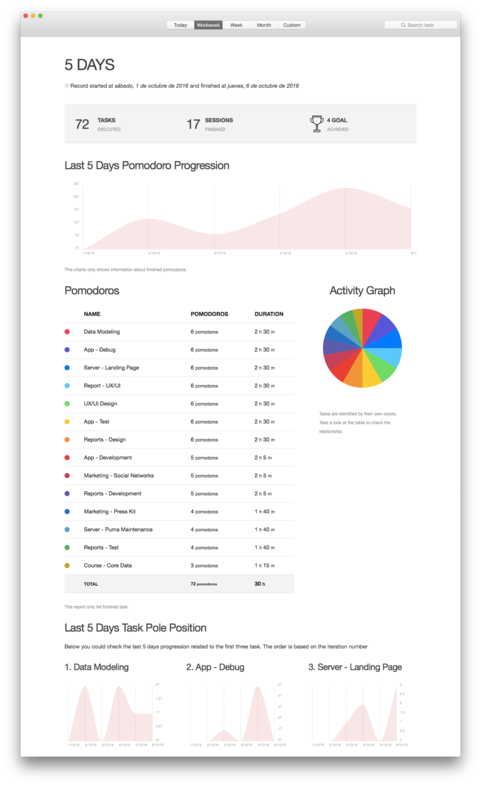 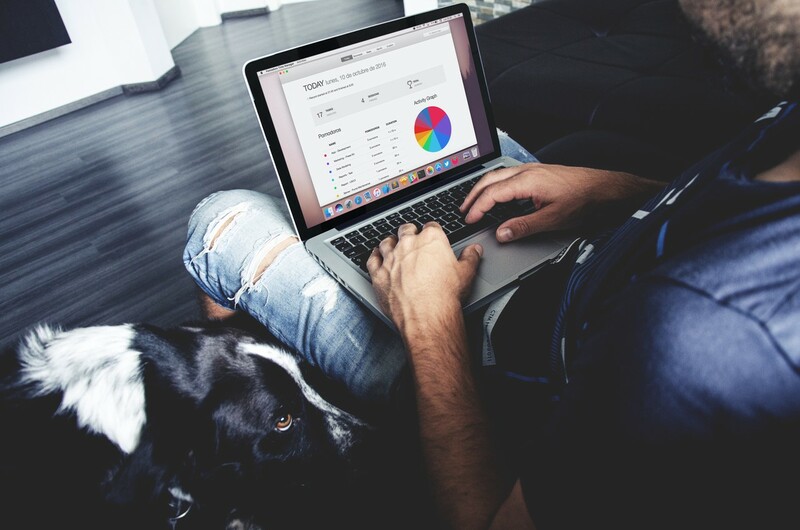 With this idea in mind, we have tried to design and develop the report system. 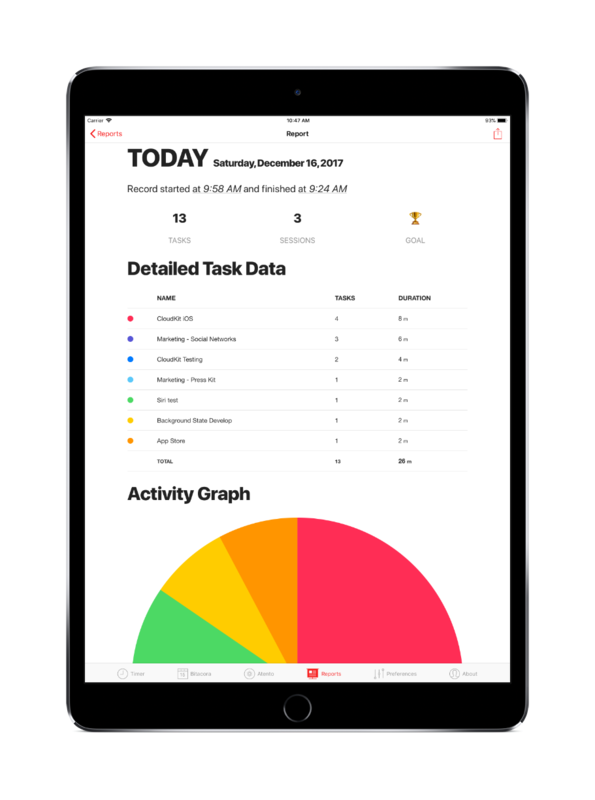 Now Reports can be printed or saved as PDF from the reports view. 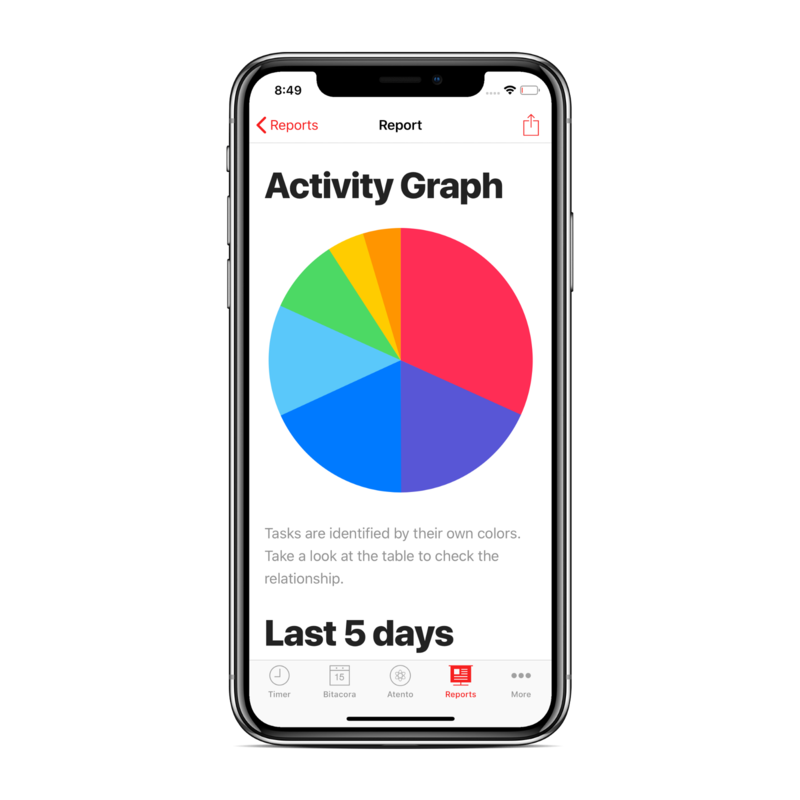 With this new feature you can share your reports when you need it. 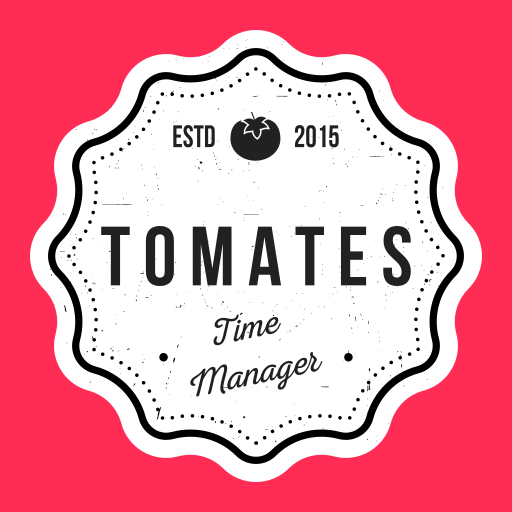 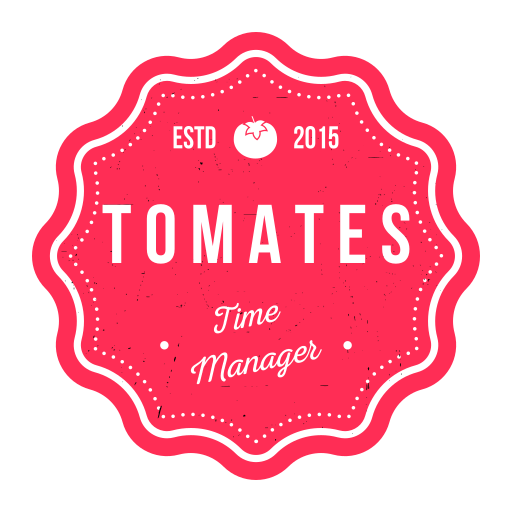 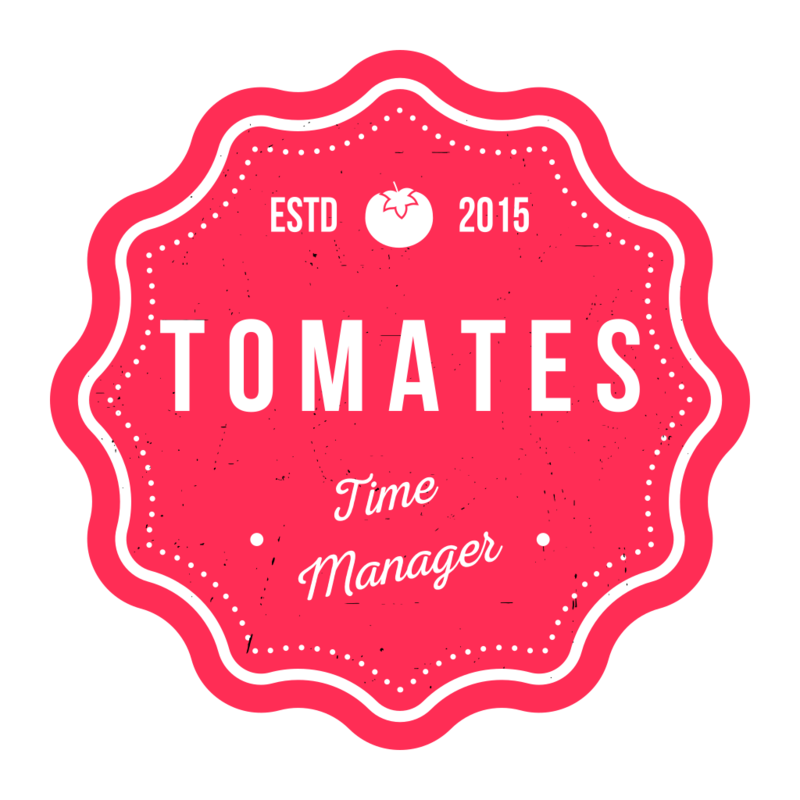 You can find Tomates Time Management in the App Store & Mac App Store right now. 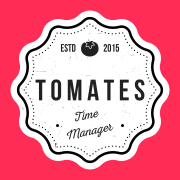 Feedback is welcome, and we will be so happy to read you no matter if you have something to say or simply want to say Hi! 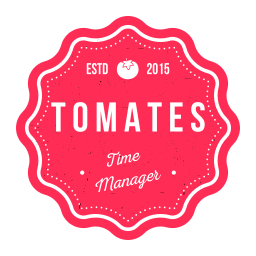 Here you will find app icon, screenshots, mockups and video, not sorted in that way ;-), related to Tomates Time Management. 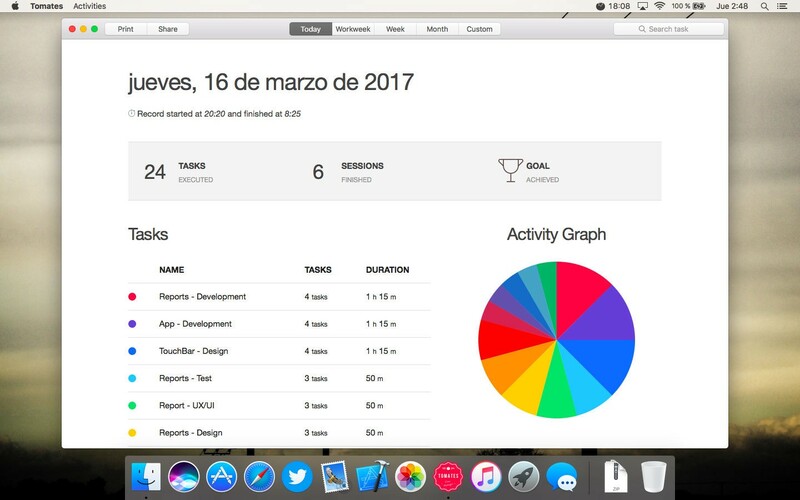 Me gustan las camisetas y las zapatillas de deporte // Desarrollo y Diseño para sistemas Apple // Creador de @GetPomodoroApp · @GetAtentoApp · @MADatBUS y más.